Self-care pain management is all the buzz these days with the popularity of trigger point therapy and self-myofascial release. Trigger point therapy is concentrated pressure over a tender spot in a muscle, and self-myofascial release uses various soft tissue techniques to get into the pain areas. You can use your hands to apply pressure, but using massage tools make the job so much easier. 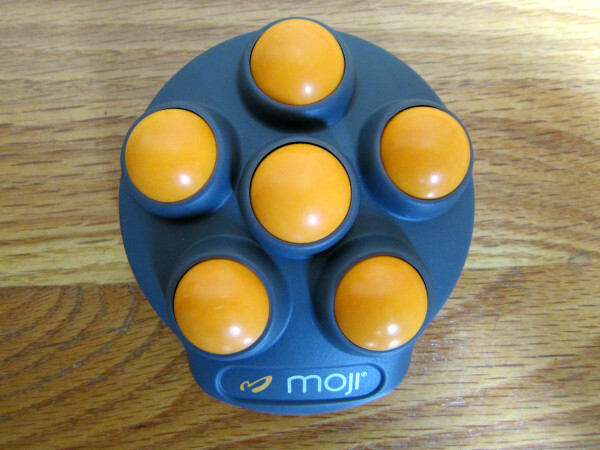 The Moji Foot Roller is definitely a tool you could add to your toolbox for pain management. Even though the Moji Foot Roller is plastic with a rubber base, it’s sturdy enough to stay in place as you roll out your foot. There are 6 spheres, and the roller is slightly domed with the center sphere raised. You can sit and roll your foot forward and back or side to side, but I find it’s more beneficial to stand while you do it. Apply as much pressure as you can handle while slowly rolling each direction. If you bruise easily or have sensitive skin, start conservative with the amount of pressure used. The key is to focus on your breath. If you’re holding your breath, you’re pressing too hard. You can also do trigger point work by pressing a tender part of your foot onto one sphere, taking about 5-10 slow breaths before you release. 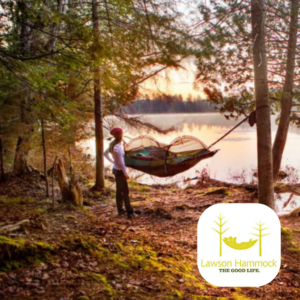 The object is to relax the muscle or connective tissue as much as possible. 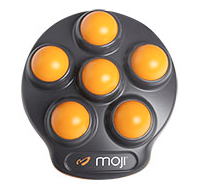 The only negative I found with the Moji Foot Roller is, if you roll too fast (which you shouldn’t be doing anyway), then the spheres grab and don’t roll as smoothly. I also found that the spheres roll easier with socks on. 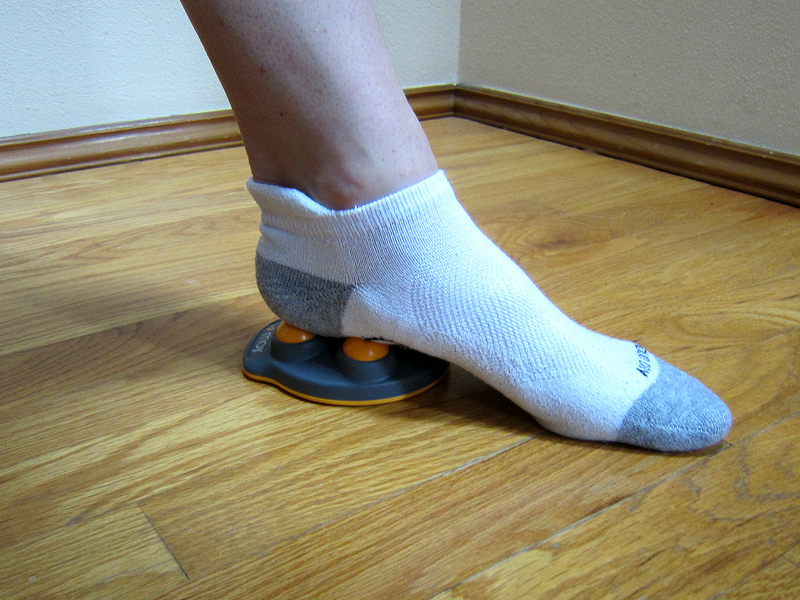 The Moji Foot Roller does work on other areas of the body as well. 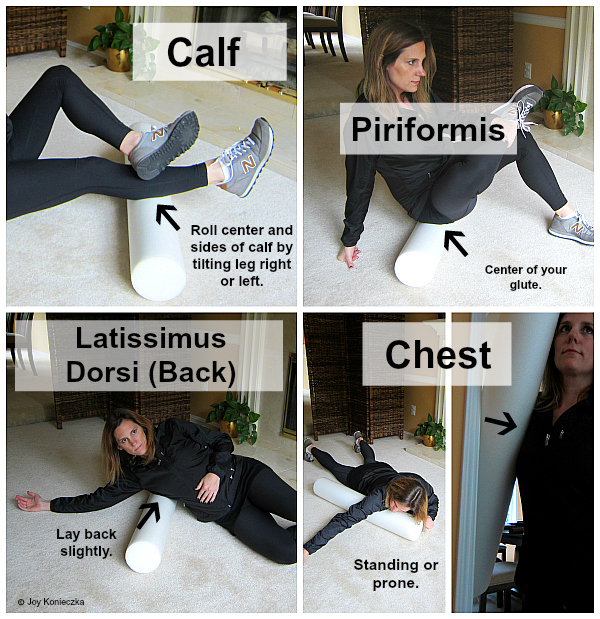 If you have pain in your calf or soleus (muscle below the calf), your hand or your forearm, you can easily use the roller on these areas. 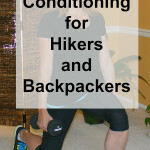 This works best when you apply more pressure to the affected muscle by using your other limb to help you. For example, if you need more pressure for your calf, just cross your opposite leg on top and press down onto your bottom leg. Your bottom leg will need to stay as relaxed as possible as you slightly bend and straighten your knee to roll out the calf. I’m always looking for new tools to work through my aches and kinks, and I will definitely add this to my own pain management program. Consult your physician before using this product or starting any new exercise program. Joy Konieczka is a certified personal fitness trainer through the National Academy of Sports Medicine and has been in the fitness industry for 20 years. 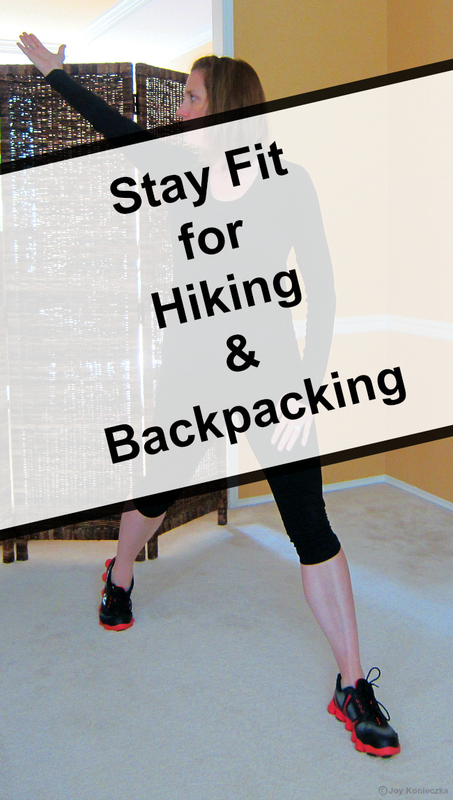 When she's not in the gym, she's spending time with her family and friends doing outdoor adventures in the Seattle area. She also promotes fitness and healthy living on her blog, Joy, Fitness, & Style (http://joyfitnessandstyle.com/). At the end of the day though, you may catch her watching a reality tv show (or two)!